FT-TEC Electronics (FT-TEC) supplies emergency and safety products to help with offshore operations. The company is constantly developing new concepts for sailing and tracking systems to be used for rail and cargo solutions. 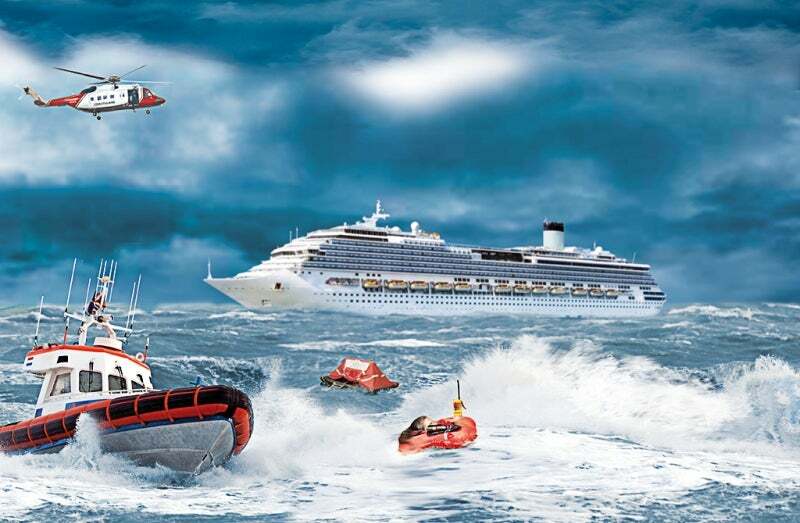 It is a worldwide provider of high-quality, cost-efficient safety and emergency products for automatic identification systems (AIS) and digital distress radiobeacons (406MHz systems). FT-TEC’s safety products support a range of operations, engaging in all stages of the oil field maintenance and safety works. Transmitter can be placed on jackets, belts, etc, with the additional advantage of an emergency signal will be also recognized by all other ships in range with AIS systems. The SEAANGEL transmitter is a battery-operated, power-saving and waterproof floating search-and-rescue system. Man overboard (MOB) and search-and-rescue transponder (SART) systems are mountable on a standard life jacket or lifeboat, on a polyester strap, or in specially designed SEAANGEL bag. They send distress signals within the maritime AIS when activated. Therefore, each vessel equipped with AIS and located within the transmission range of approximately 10NM of the transmitter can actively participate in the rescue (depending on swell height, antenna height of receiver and line of sight). The SEAANGEL sends a protocol via VHF radio that includes the emergency number, showing the exact GPS location of the person in distress or the crashed ship. Missing persons can be saved in a swift, safe and targeted recovery. The SEANEXX series developed by FT-TEC Electronics includes receiver and transponder systems. The RX-series AIS receivers are available as USB sticks, so users can visualise all AIS data on their computer. The world’s smallest dual AIS UBS-receiver, SEANEXX is used to receive message types defined in Rec. ITU-R M.1371-4 (04/2010) and process them to a virtual COM port (VCP) on a PC or laptop. The data received will be presented as text or graphically with the corresponding PC software (for example, hterm and OpenCPN). All our products are compatible with Microsoft Windows®, Linux and IPAD operating systems. Established in 2005 as a family business, FT-TEC has been in the railway industry in Europe, Russia and the US for the last ten years. In 2012, the company introduced the FT-TEC Electronics division, which develops emergency and safety products for offshore applications. The company’s senior management has more than 20 years of experience in the marine, maritime and offshore sectors.